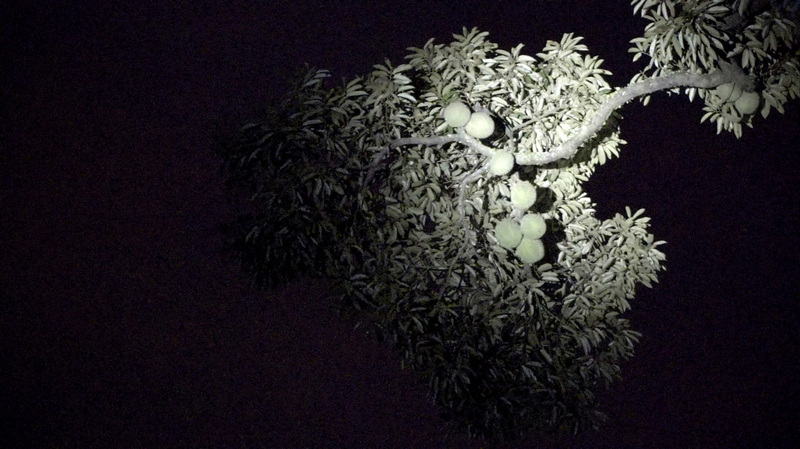 In this short film, Kray Chen follows his father into the thick vegetation in the early morning in search for durians. Through the activity, Kray talks with his father about the peculiar hobby of durian-picking and the various stories he encountered in yearly adventure. Dual back-projected video intersects two planes of virtual space into the exhibition ground. 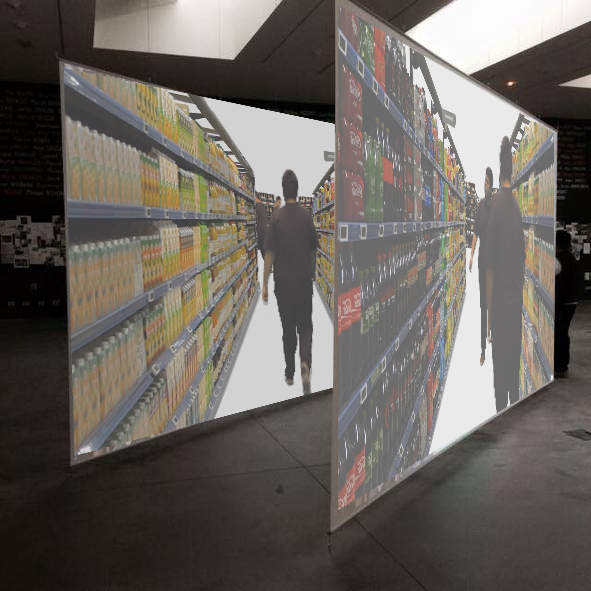 Stemming from the two planes are a virtual supermarket, where the artist wanders about for his dinner. In occasional anomalies, symmetry in the two planes duplicates the passing artist, resulting in an overcrowding of the artist's clones in the imaginary supermarket.